In case you don’t keep your finger on the pulse of society like I do, you should know that there is a hot trend that is mustering followers far and wide. 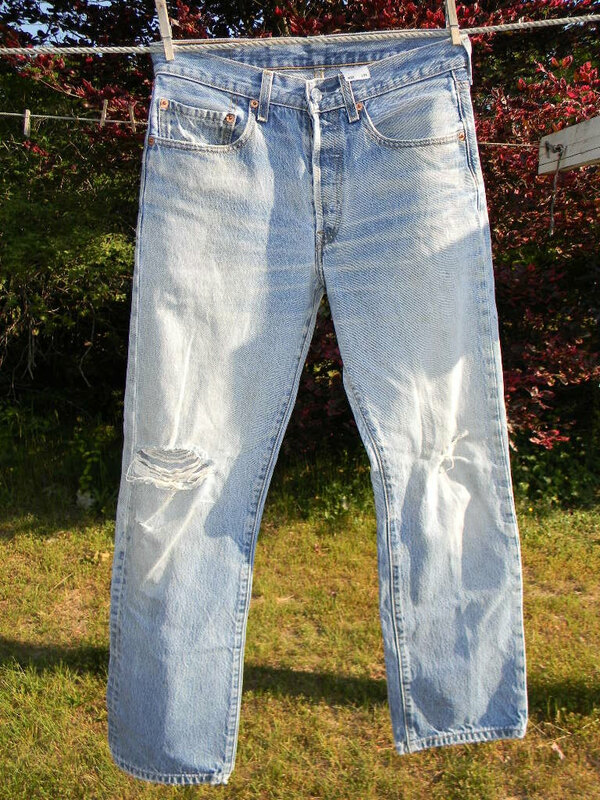 Do you know re-purposing? Re-purposing is a fancy word that means, roughly: You are cheap and you have gobs of time on your hands. Re-purposing might involve the building of, say, a commuter train from old egg cartons. Things like that. Yeah, that’s all newspaper. To those of you who say newspapers are dead, I say: Try that with the Internet. Here’s another example of re-purposing. 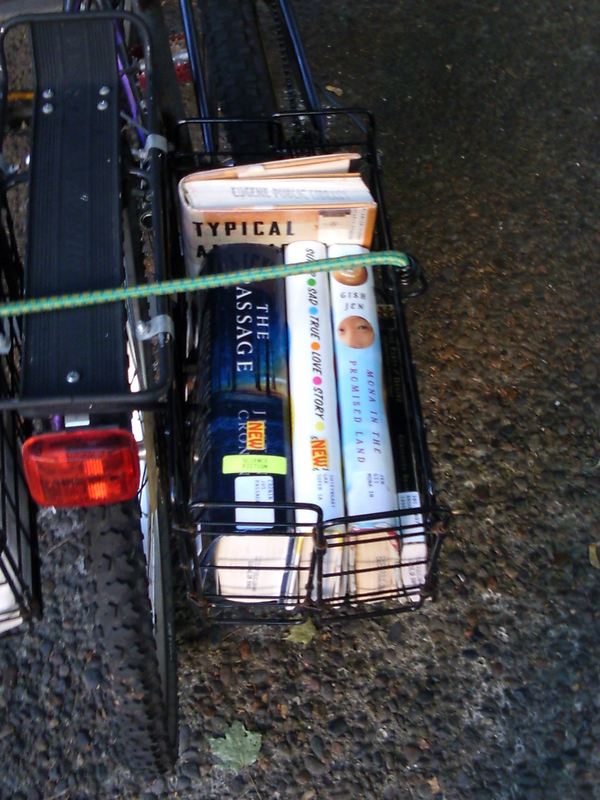 Let’s say you need to carry some books home from the library on your bike. 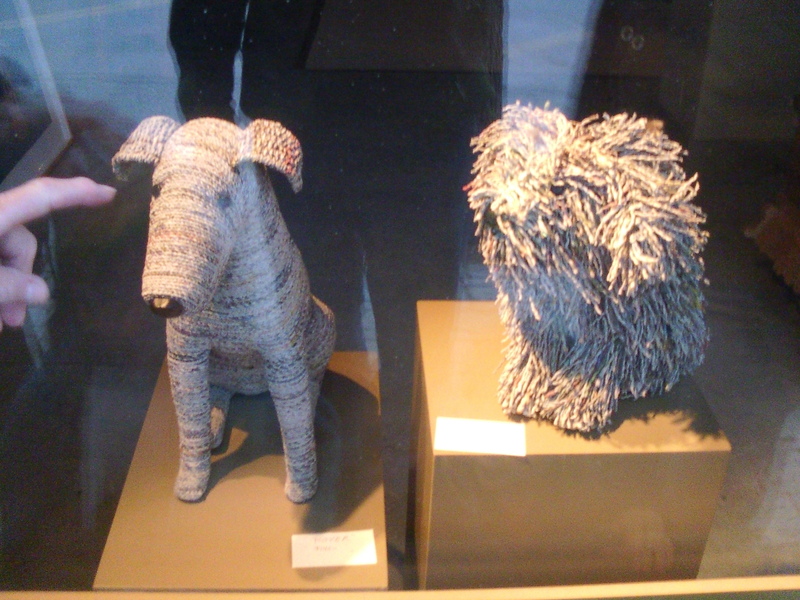 But if you are cheap and have a lot of time on your hands, you may instead start searching the house to see what you have lying around — items that at first glance would appear to be of little help. 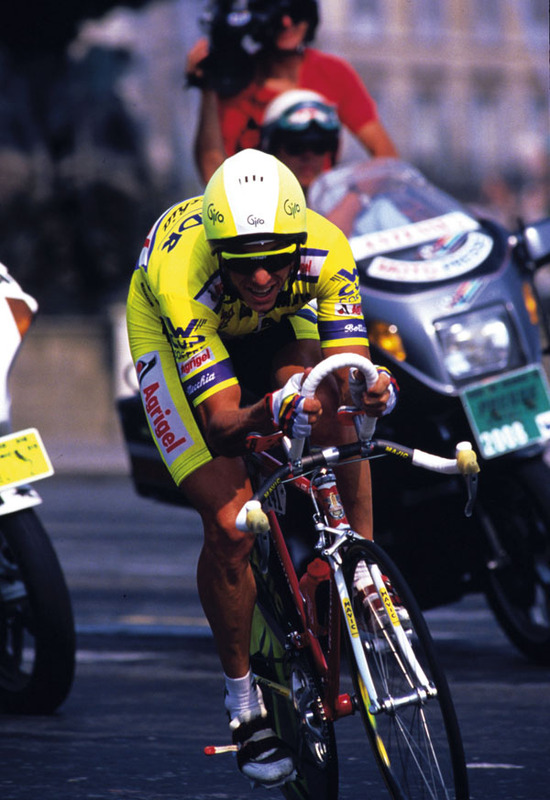 Now, aerobars — which allow a cyclist to ride in a more aerodynamic position — may well have helped Greg Lemond win the 1989 Tour de France — where he introduced them in the time trial that year and won the Tour by eight seconds. 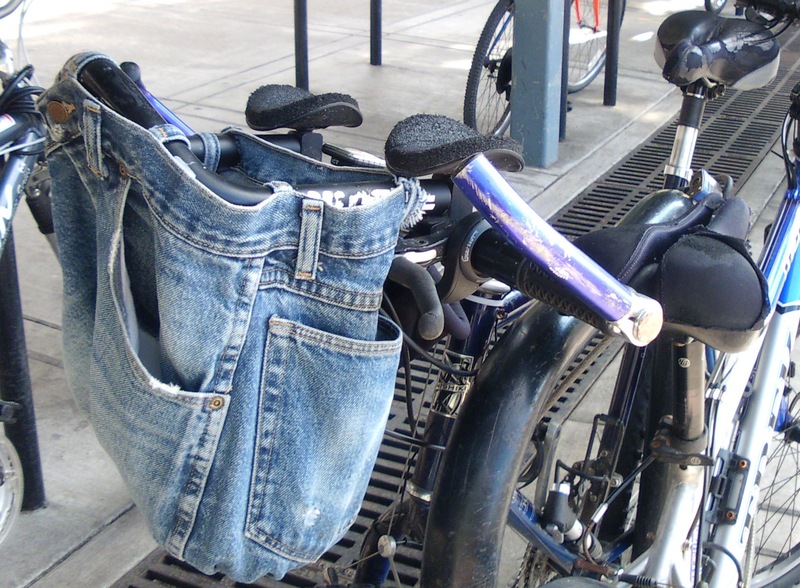 Yes, it’s a handlebar bag — made from old jeans and aerobars. 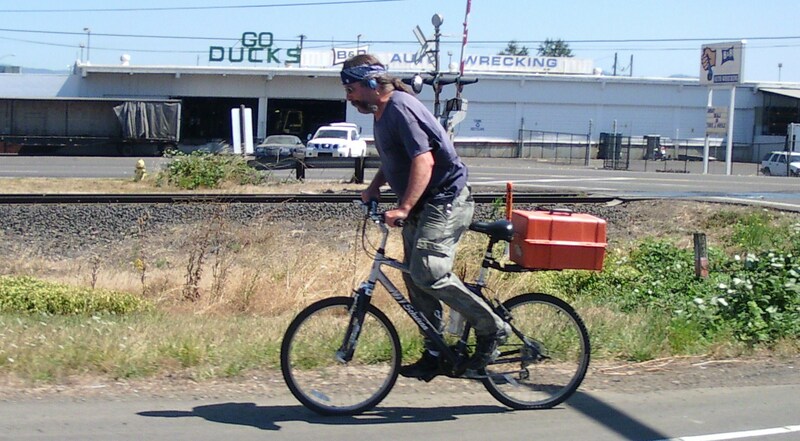 We spotted this outside the Eugene Public Library. This person even removed the belt loops and then resewed them onto the inside of the waistband. This is a first-rate bit of re-purposing, and I think we will bestow upon it a “Notable Bicycle Cargo Device of the Week” certificate (framed in gilded oak and suitable for hanging). He also seems to have re-purposed a furry little rodent into a moustache. ← The sharrows are coming! The sharrows are coming!